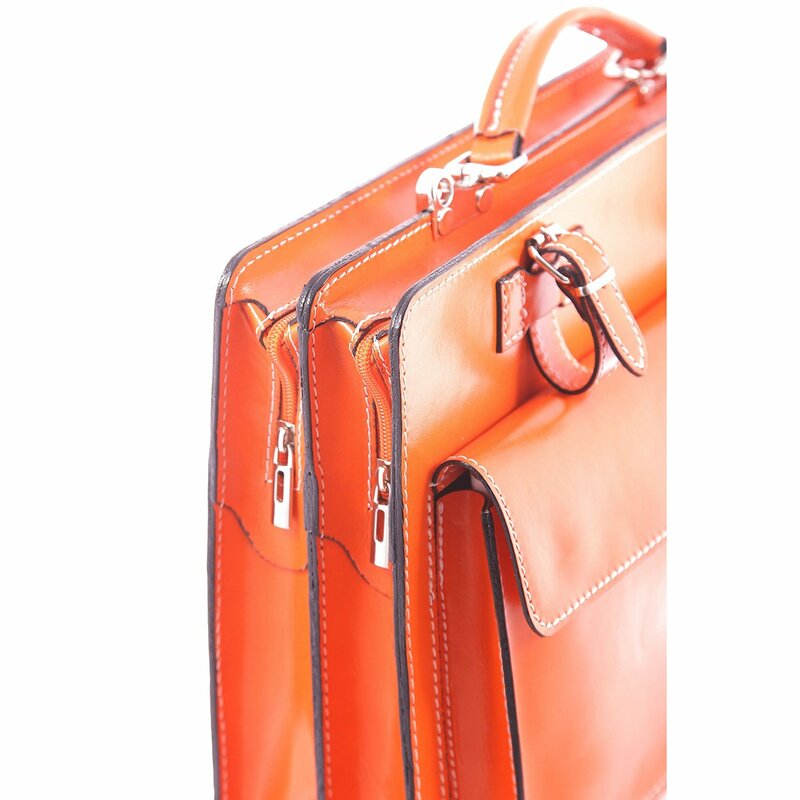 Top handle and detachable shoulder strap inside. 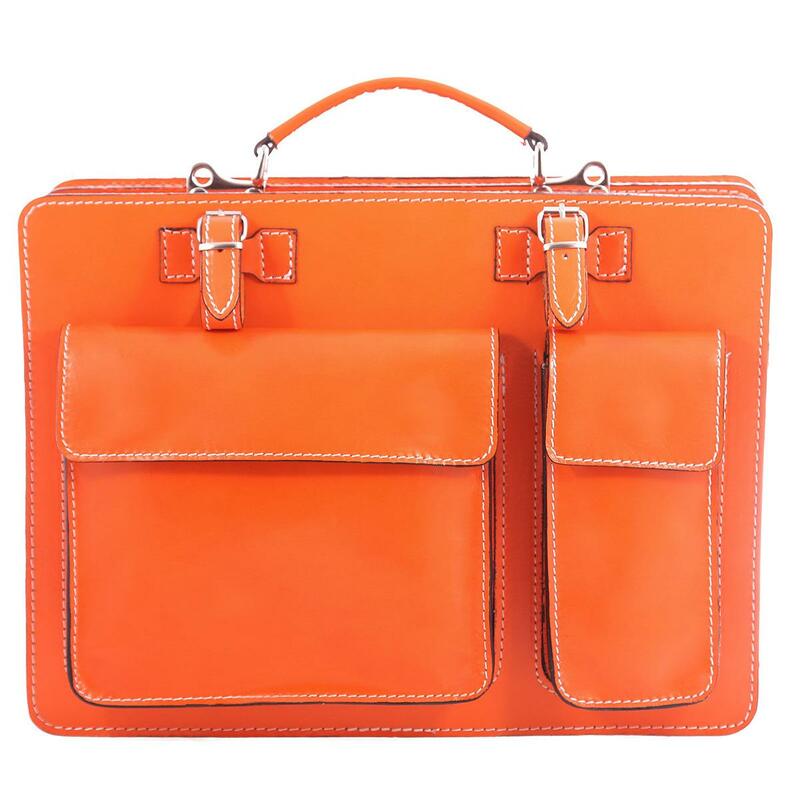 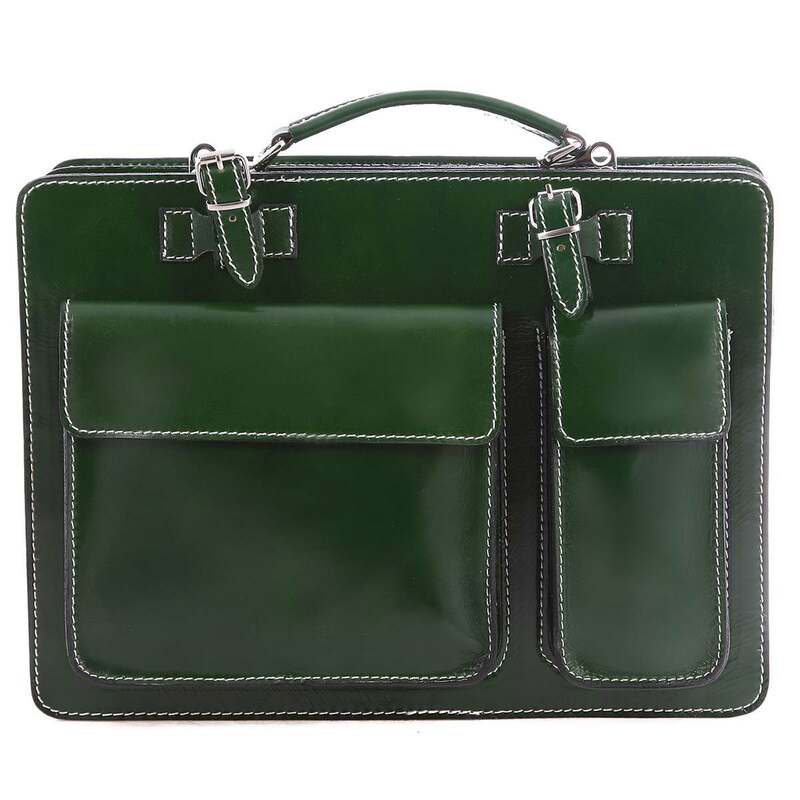 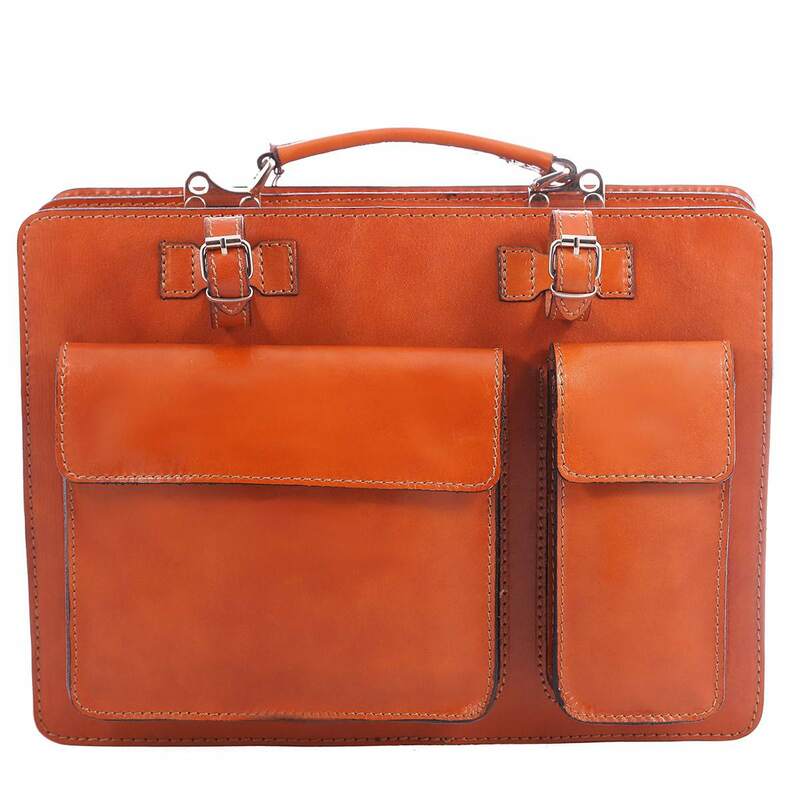 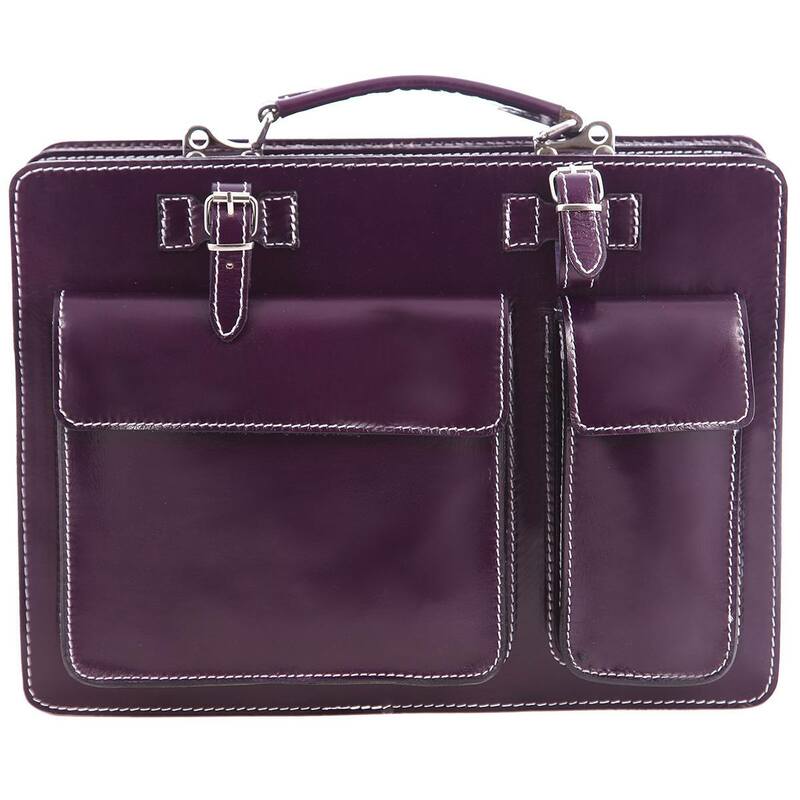 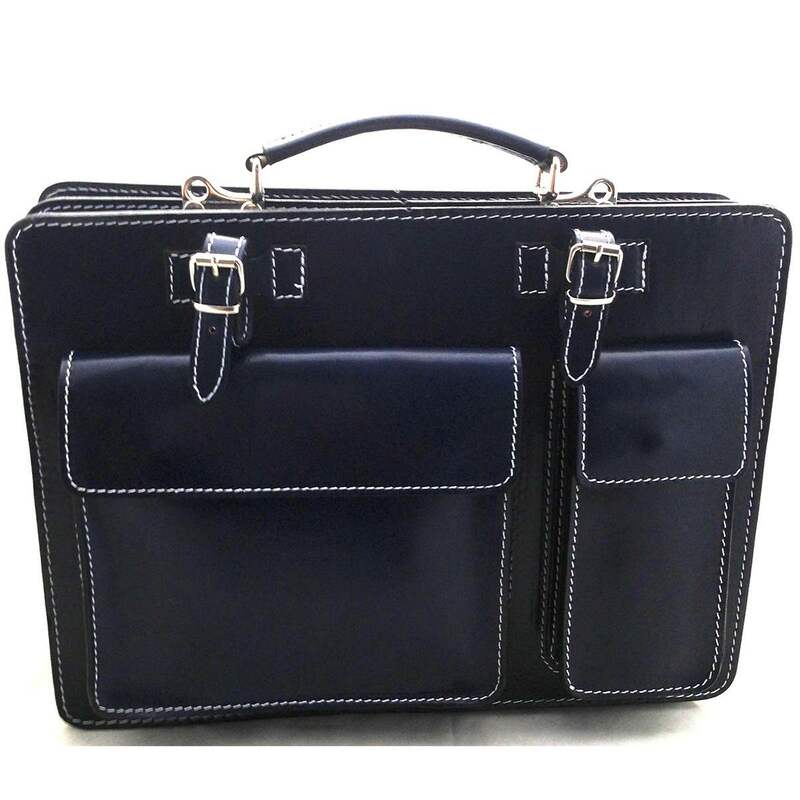 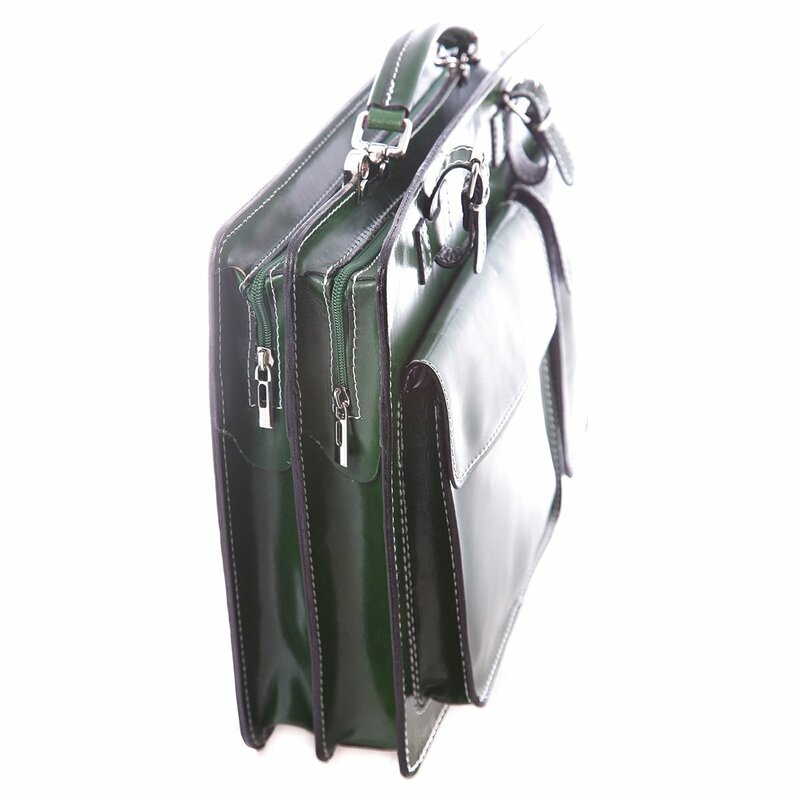 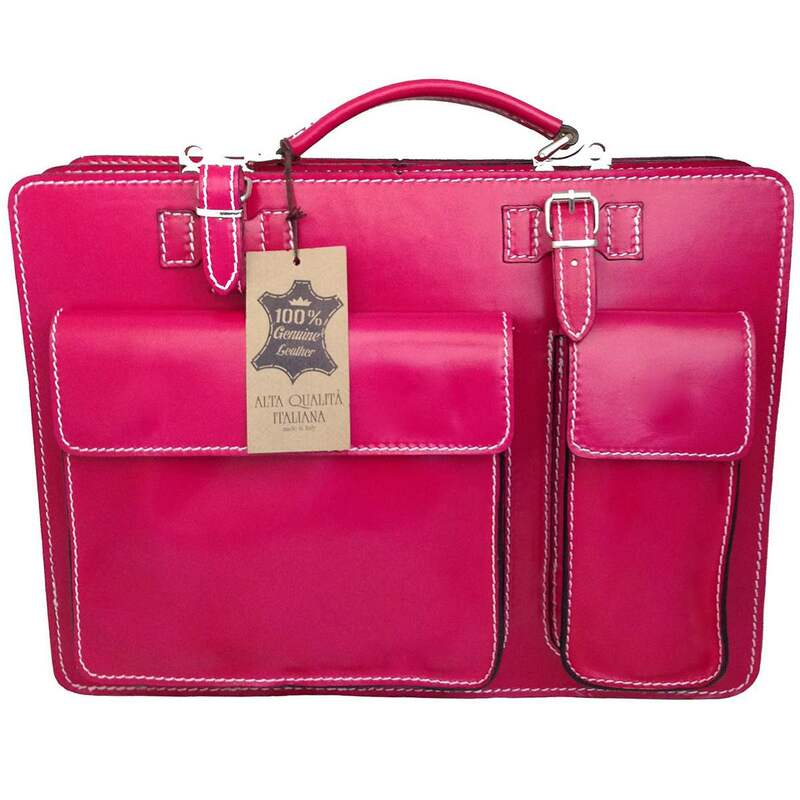 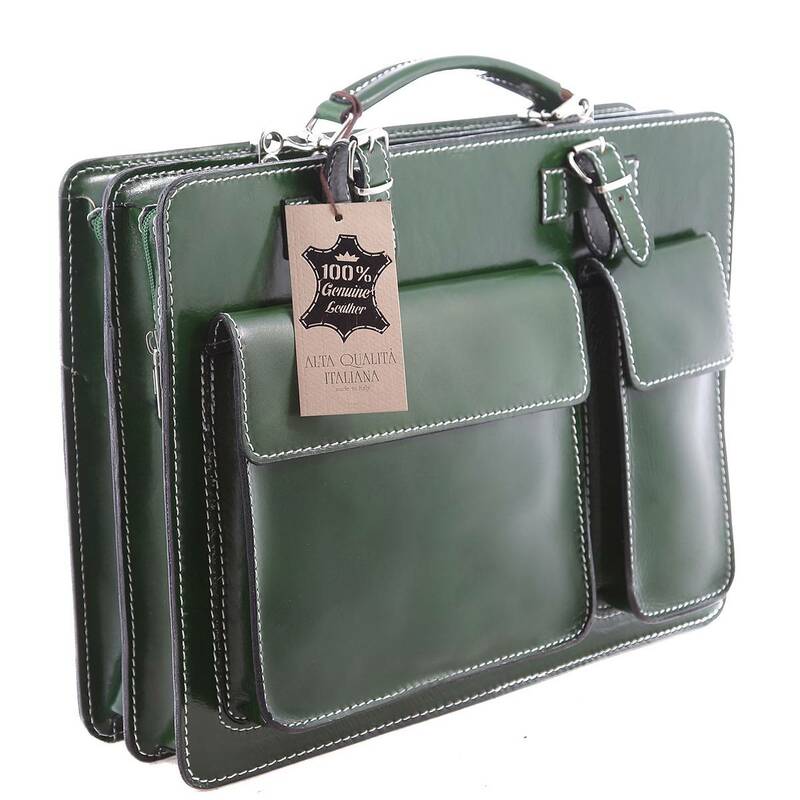 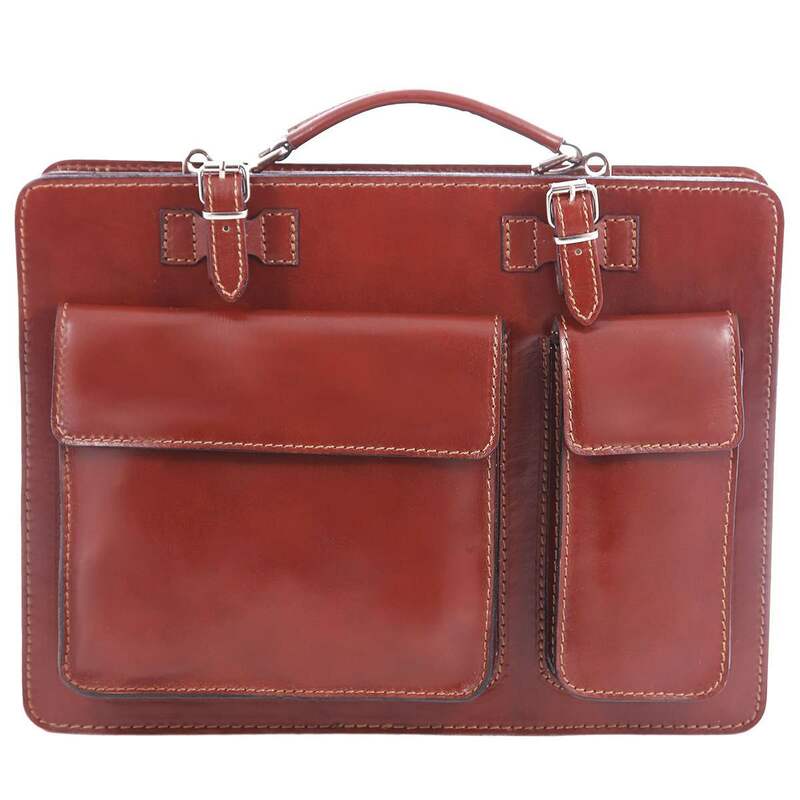 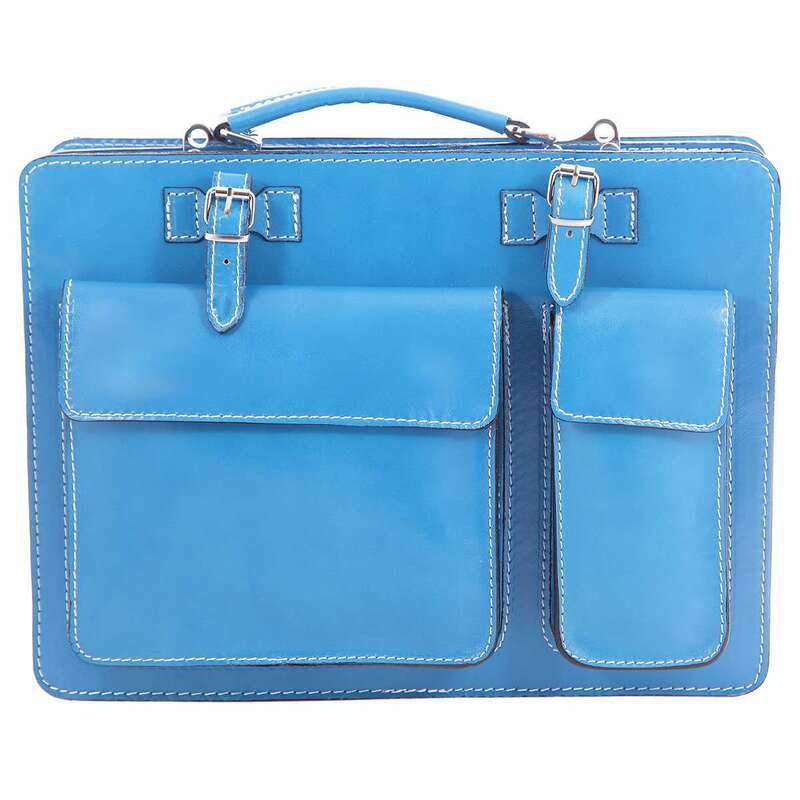 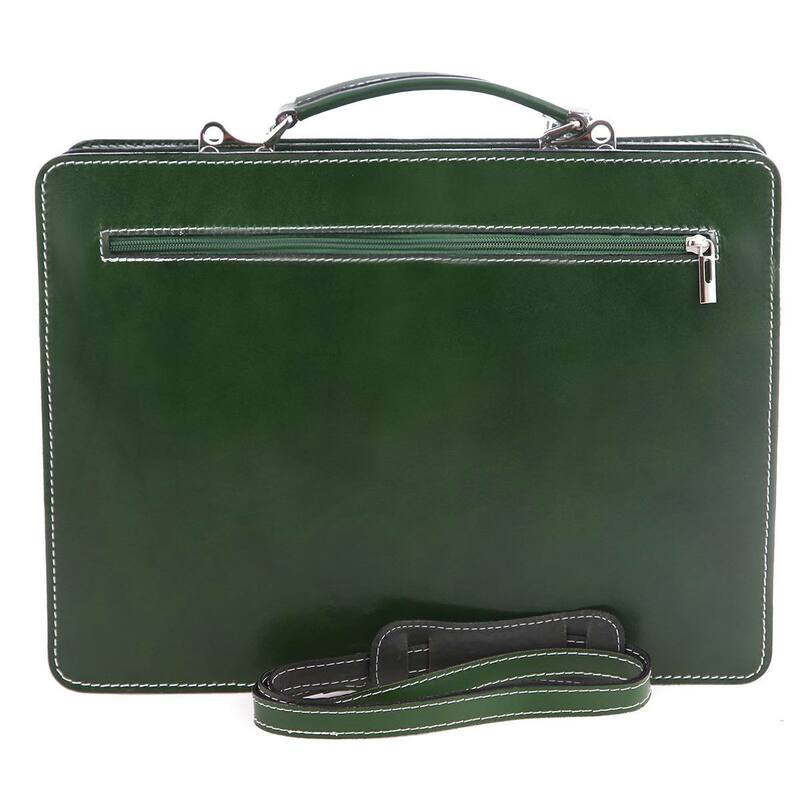 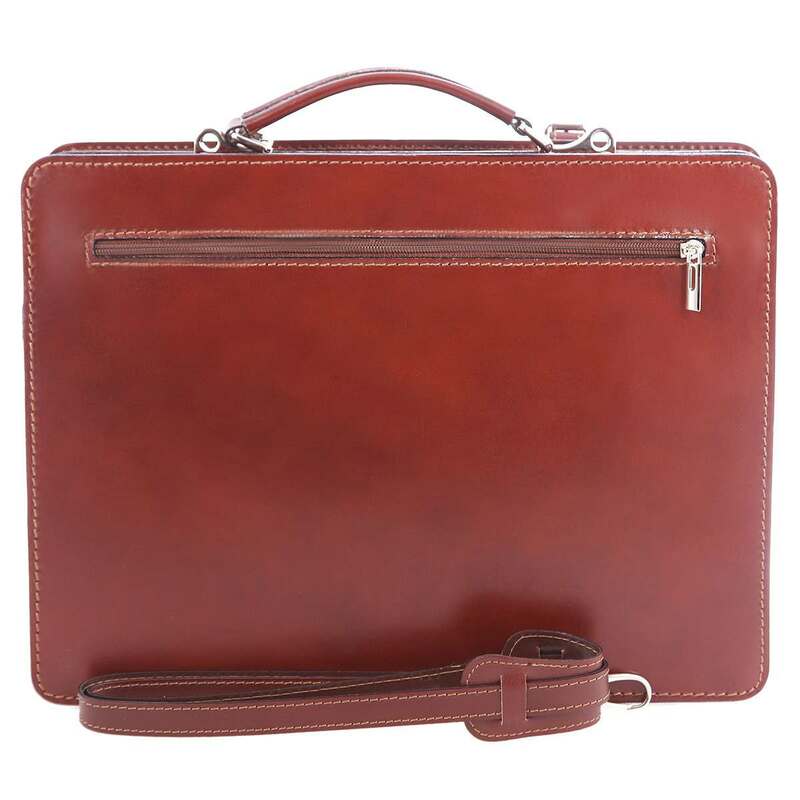 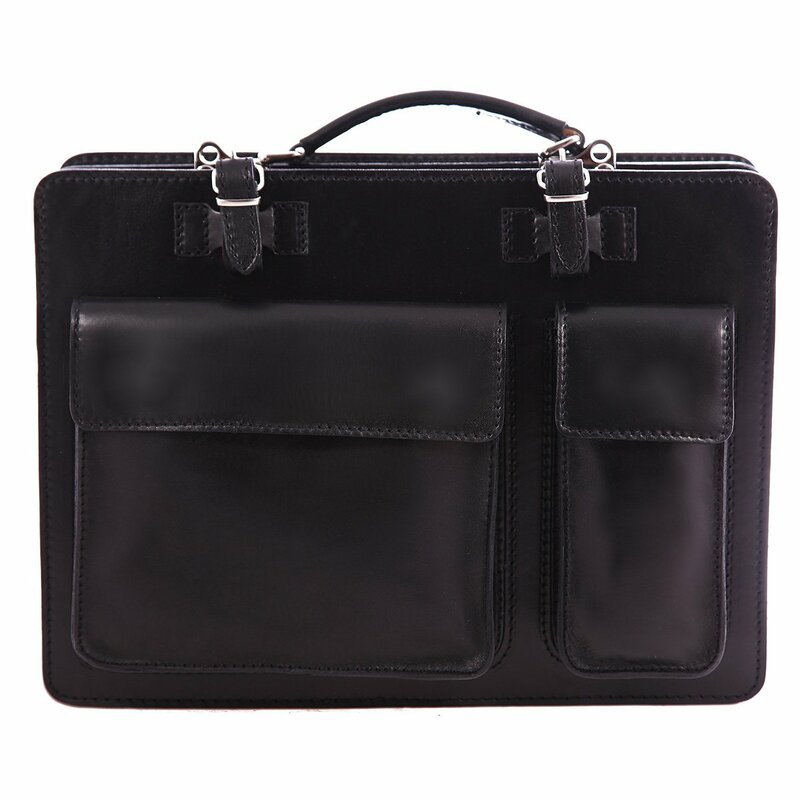 Double interior compartments unlined with zip closure. 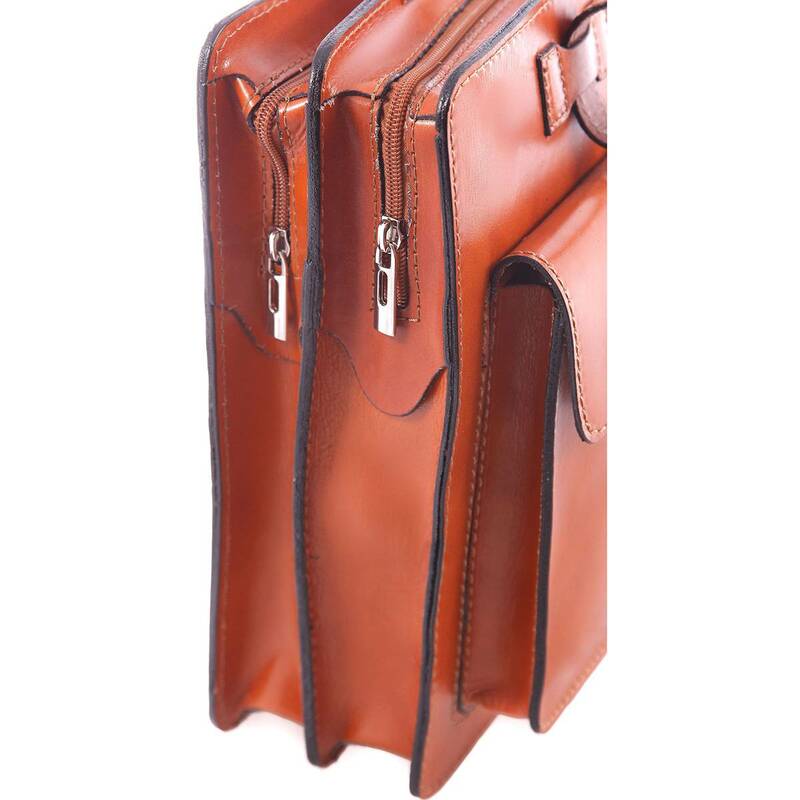 Two front pockets and additional rear zippered pocket.